More severe cases of dry eyes might be treated with a punctal insert which is a tiny insert containing a slow-release lubricating substance that is placed inside the lower eyelid. Since DED is often related to eyelid inflammation known as blepharitis your Spring eye doctor may prescribe a heated hot compress mask, specialty eyelid scrubs and sometimes an antibiotic ointment. Finally, punctal plugs might be recommended for severe cases which would be inserted into the tear ducts to reduce the tear drainage in your eyes to keep them from drying out. In cases where discontinuation or switching to different medications is possible this can eradicate symptoms. Your Spring optometrist may also recommend that you limit or refrain from contact lens use for a certain amount of time or switch to a different brand or type of contact lens which will reduce dehydration. Dry eye disease won’t have a permanent effect on your vision, but there is no reason to endure dry, itchy and uncomfortable eyes, especially since there are so many treatment options to increase moisture and comfort. It’s also important to realize that this is a chronic disease that needs consistent treatment. 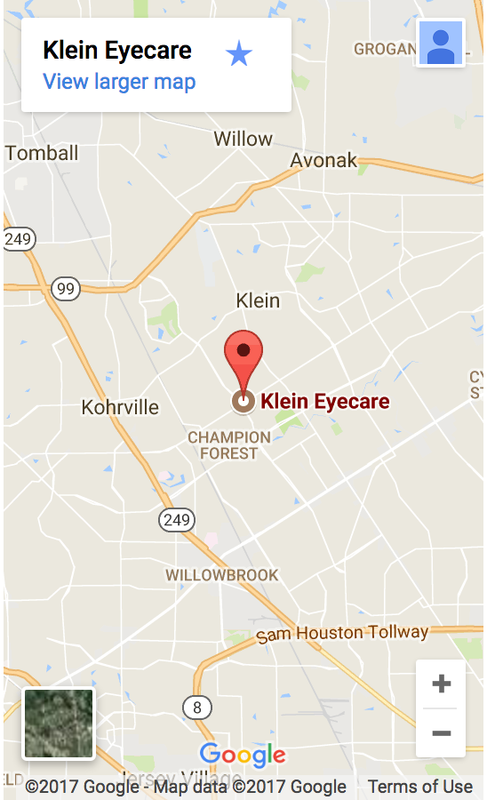 Our eye care specialist in Spring, TX will work with you to create a long term strategy to keep your eyes as comfortable as possible.